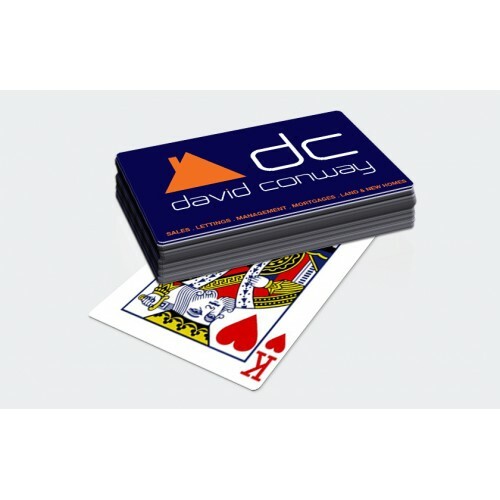 Playing Cards are an excellent promotional product because of their longevity. Metalised Core. Our packs are litho printed in Full Colour on 270gsm solar block card. This unique material has a metallic core to prevent any possibility of show through. This card meets the exacting requirements of gaming authorities worldwide. 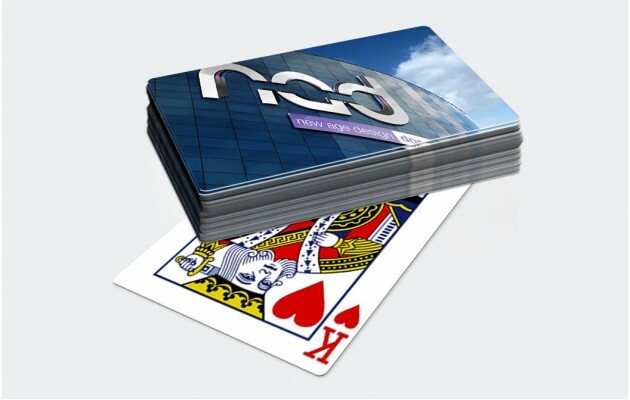 The printed cards are sealer varnished to ensure exceptional quality and playability. Our Playing Cards are standard poker card size (3.5" x "2.5 or 89mm x 63mm). Packs consist of 54 cards. Each card can be personalised with a different image and message (the reverse being the suits of a standard set of playing cards). As standard our Playing Cards are supplied in a plain box. Personalised boxes available upon enquiry. Click on the price to check-out.